We are happy to announce that the AHRC has granted funding for our Internet of Cultural Things (IoCT) project, a one year research partnership between Kings College London, Winchester School of Art (University of Southampton), and the British Library. The project examines the cultural dimensions of data via the born-digital material generated by the British Library, ranging from items ingested to reading room occupancy to catalogue searches. Through practice-informed research we engage this otherwise hidden cultural data, and hold a series of pop-up installations to make it visible and interfaced with the public to think through our data interconnectedness. By focusing on cultural institutions, we can move beyond the integrated operating system of the ‘Internet of Things’ and its purported productivity gains, efficiencies. Instead, we will use critical creative practice to rethink cultural institutions as living organism of data that is both dynamic and recursive. We propose the IoCT as a concept to discuss this new situation of digital data and cultural institutions. The project starts in September 2015, and is led by Dr Mark Cote (KCL) as the PI and Prof Jussi Parikka (WSA/Southampton) as the CO-I with partners from the British Library (Jamie Andrews) and collaborating with the artist Dr Richard Wright (London). The British Library, a data institution. 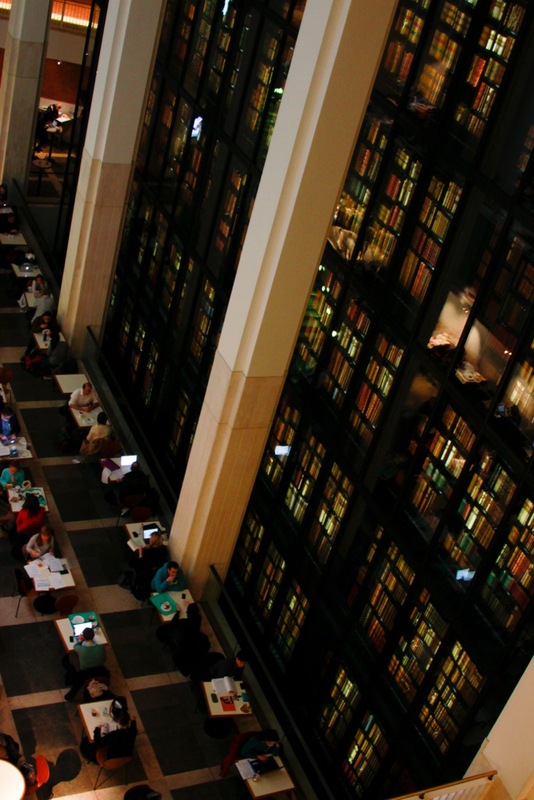 See also: Living Knowledge: The British Library 2015-2023.